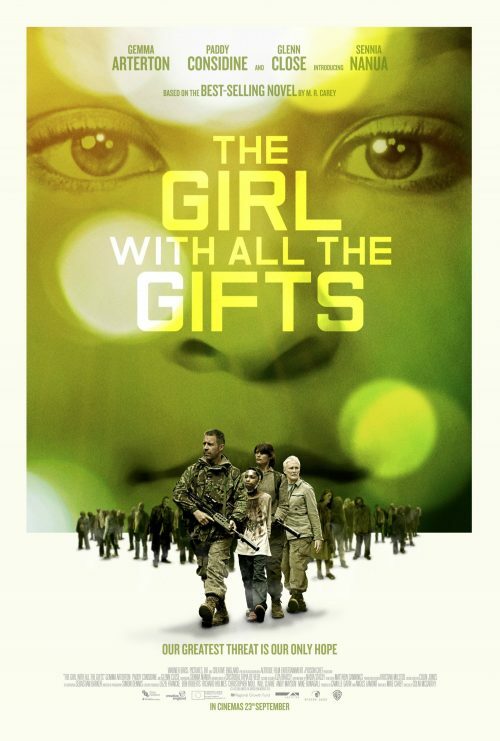 The first poster for The Girl With All The Gifts has broken out of the camp and hit the web. It does have a strange washed out colour scheme that’s not the standard ones that you would imaging. On the other hand, it’s nice to see something different. It tells you a lot of what’s going to happen. Monsters and a small party trying to save humanity one step at a time.